I got this postcard from Katya from Yekaterinburg, a lovely art postcard showing the cinema Kosmos in Yekaterinburg. The picture was painted by Maxim Nikiphorov, he called it Осенний космос / Autumn space. 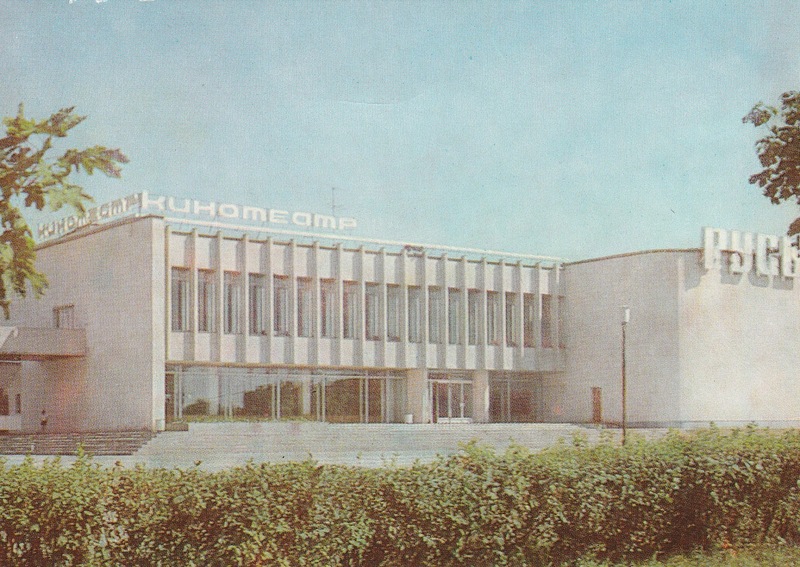 Kosmos was opened on December 25, 1967 as a multi-purpose cultural institutiion. Today it is one of the largest concert venues as well as one of the biggest cinema theaters in Yekaterinburg. There are three halls: the Big Hall (equipped with one of the largest movie screens in Russia, 1939 places), the Green Hall (126 places) and the Blue Hall (126 places). Vladimir is a town 200 kilometers to the east of Moscow. It was one of the medieval capitals of Russia. The name of the cinema Rus remains to the history of the city. The building looks new, maybe built in the 1970s. The postcard is from 1986. Today there is still a cinema called RusKino in Vladimir, it was opened in 2007 after reconstruction. Maybe a new building at an old place. 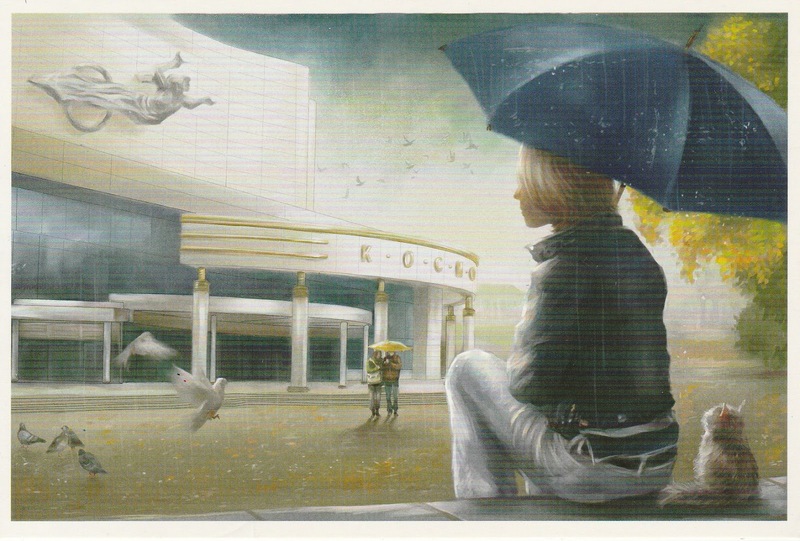 I bought this postcard in a shop near this cinema. 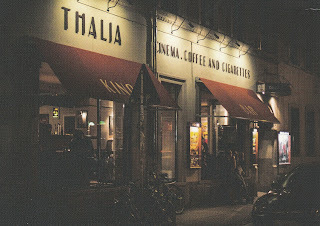 It's pity that there aren't well made postcards with cinema buildings often today. Now Stephan Böhlig took same photos and published them as postcards. Thalia is a nanoplex-cinema with 75 seats and only one screen. It is situated in Dresden-Neustadt and opened in 2004. If you come and visit Dresden I recommend you visiting this cinema. It has a good program and shows many movies in original version. 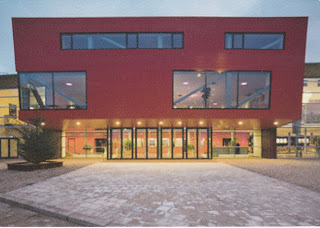 I got this postcard via postcrossing from the Netherlands. 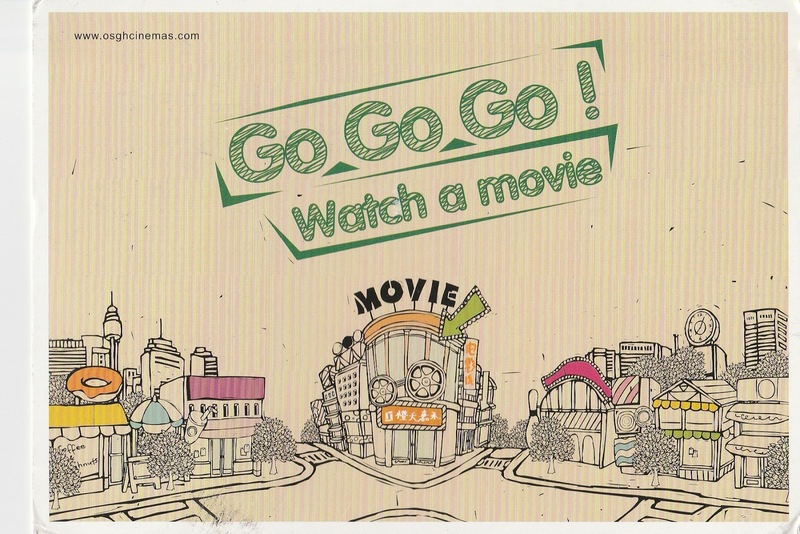 I think it is an ad card for a new cinema. But unfortunately there weren't written any name and address on the card. But I could found it: it is the CineMec in Ede. CineMec opened in 1999. It is a building for cinema and conferences and has at all 9 rooms, with 120 to 1030 seats, made by DP6 Architectuurstudio. 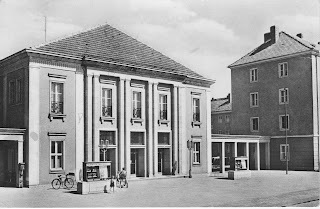 The postcard shows the cinema Friedensgrenze in Guben/Germany. Guben is a town in East Germany, on the border between Germany and Poland. In 1945 the town has been seperated by the Oder-Neisse-Line in the German Guben and the Polish Gubin. The name of the cinema refers to this line: Friedensgrenze = Border of peace. This was an official phrase for the Oder-Neisse-Line in East Germany. 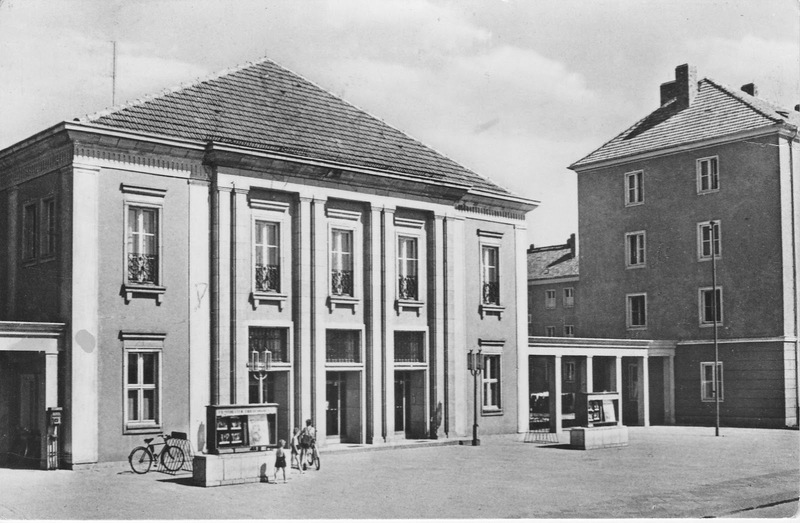 The cinema was opened on 8 March 1956 with 650 seats. After the German reunification in 1990 the West German UFA enterprise bought the house and changed the name in a simple Filmtheater Guben. The cinema closed in 2000. So Guben is now a town without a cinema. The building still exists and designated a historic monument and decays. I like the three young persons in front of the cinema, looking for the next adventure. I got this ad card from China via postcrossing. It advertises the OSGH CINEMAS in Suzhou. The company has 4 houses in this city. 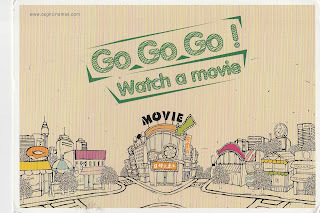 It would be interesting to know if the card shows a real existing cinema or only an advertising drawing. At all - I like it. I got this postcard via postcrossing from Belarus. It shows the cinema Rodina in Mogilev. The name "Rodina" means "home, homeland". The cinema was opened 75 years ago, on 6 November 1939 (the 7 November is the anniversary of the October Revolution). The first shown movie was "Svetly put" by Grigori Aleksandrov. Today the cinema has one screen, 200 seats and shows movies in 3D. 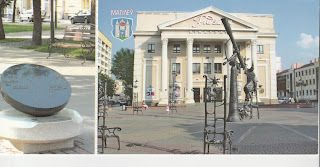 In front of the cinema there is the "Ploschad Zvezd / Stars' Square" with a figure of the zodiac and a star gazer. This a work by the Belarusian sculptor Vladimir Zhban.